Title IX Investigation: Is rule against metal cleats for softball players discriminatory? The U.S. Department of Education says it is investigating whether New York State's public high school sports rule-making organization discriminates against female athletes by allowing boys baseball players to wear metal cleats but not girls softball players. The U.S. Department of Education says it is investigating whether New York State’s public high school sports rule-making organization discriminates against female athletes by allowing boys baseball players to wear metal cleats but not girls softball players. 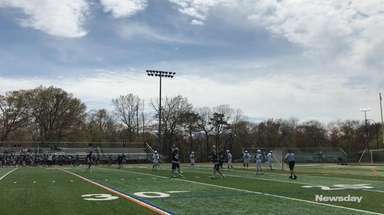 Robert Zayas, executive director of New York State Public High School Athletic Association, which governs the state's public high school sports activities, said the organization received a letter in December informing it of the Title IX investigation. Title IX is the landmark 1972 federal law that requires gender equity in education. The U.S. Department of Education letter, which was obtained by Newsday, says the investigation stems from an October complaint to the department’s Office of Civil Rights about the NYSPHSAA rule that bans softball players from wearing metal cleats. The letter does not identify the complainant. The spokesman, who declined to comment any further on the specifics of this case because it is ongoing, said the purpose of its Office of Civil Rights Title IX investigations are to see whether a civil rights violation has occurred and to work to reach a resolution agreement. High school girls softball players in New York wear what are called molded cleats, which are essentially rubber versions of the metal spikes worn by baseball players. 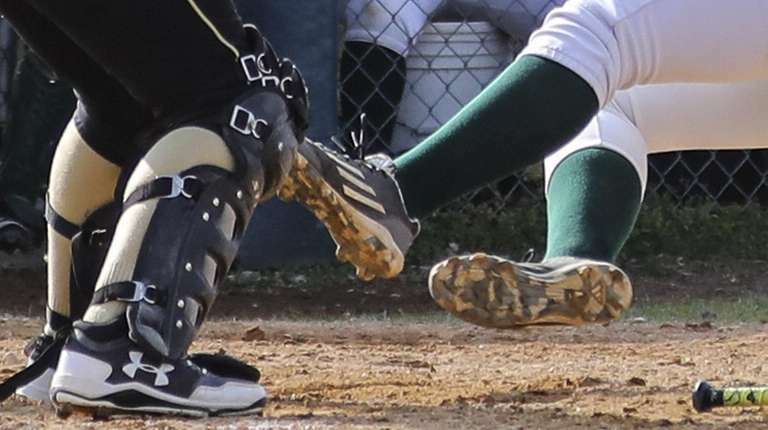 Players who prefer metal cleats wear them in their softball travel leagues and say they provide better traction when they are running on the dirt, Sachem North coach Ken Sasso said. Most collegiate female softball players wear metal cleats, too. Zayas said NYSPHSAA has always banned the use of metal cleats in softball and there hasn’t been a significant push to change the rule during his seven-year tenure. There are two national rulemaking bodies for high school softball: USA Softball and the National Federation of State High School Associations. Both decided about a decade ago to permit female softball players in high school to wear metal cleats. But New York did not follow suit. 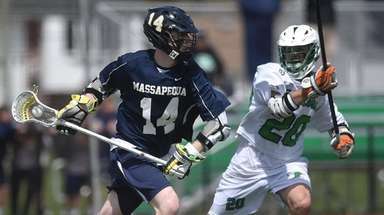 State athletic officials at the time were concerned about safety implications of switching to metal, Zayas said, and didn’t think there was enough interest among players to necessitate a rule change, anyway. Players who play on travel softball on their own time typically wear metal cleats and would prefer to wear the same shoes in high school for comfort and convenience, said Sasso, entering his 10th year as Sachem North coach. 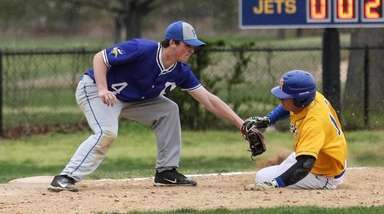 “The kids that wear them in travel ball like them, and they definitely would rather wear them in school ball also,” Sasso said. He doesn’t see either cleat as being particularly advantageous, but he is in favor of giving players the option. “I think they should have a choice,” he said. 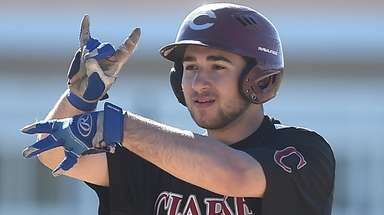 Zayas said members of the NYSPHSAA executive committee discussed the Title IX investigation at their regularly scheduled meeting in Saratoga last week and he plans to work with the softball committee to gauge the interest of athletes and coaches in switching to metal cleats. 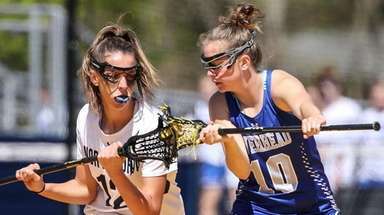 The earliest that a rule would be changed is in time for the 2020 spring season. Zayas believes this is the first Title IX investigation into NYSPHSAA in his tenure and said he isn’t concerned.